In this chapter, we’ll install KiCad on the Mac. There is KiCad support for many other operating systems as well, including downloading the source code and compiling from the source code if you know how to do that. Here, we’ll keep it simple and install the already compiled version. Let’s go into the Mac OS X branch, and there are two types of downloads that you can do; the recent builds and you can build from source. As far as the recent build is concerned, there’s a slight difference to how this works for Windows. 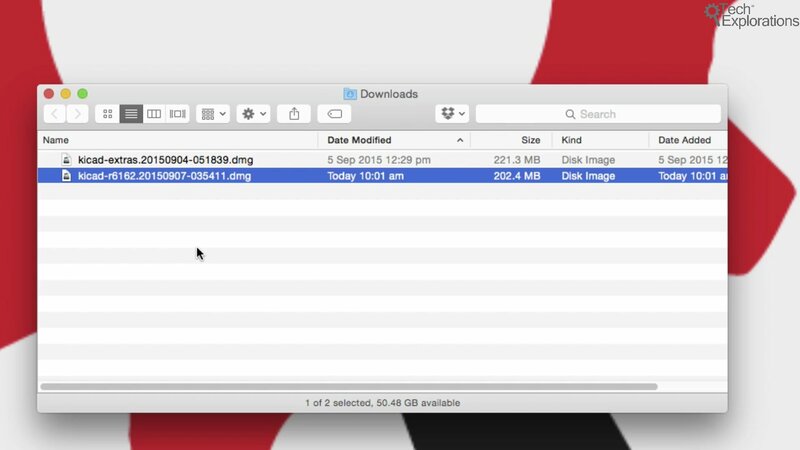 There are two big files you can download. The first one is KiCad.dmg and the second one is KiCad-extras.dmg. The first file contains KiCad itself, documentation, the schematic symbols, and some templates, but it doesn’t contain any footprints. So you’ll be getting the footprints from the Kicad GitHub repository. To do that, you obviously need a live Internet connection. If you find yourself working offline, like traveling on a train or a bus, like I find myself sometimes doing, then you will also need to download KiCad-extras.dmg and this contains the footprints that you can use offline. Let’s download both files. Go to http://downloads.kicad-pcb.org/osx/ and scroll to the bottom. This is where you will find the latest version of the installers. At the time I wrote this book, the latest version was KiCad r6154, so I downloaded the file titled “kicad-r6154.20150904-051736.dmg”. You should download the latest version available at the time you read this. Next, download the extras installer. At the time of writing this, the latest extras installer was the file titled “kicad-extras.20150904-051839.dmg”. When the download is finished, you will have two files. You should have the main KiCad installation file, and the extras file. I will not install the extras now, prefer to access the GitHub repository for all the library files and just be able that way to get the latest. If at some point, I’ll be doing a lot of design work offline, then I will go ahead and install this file as well. 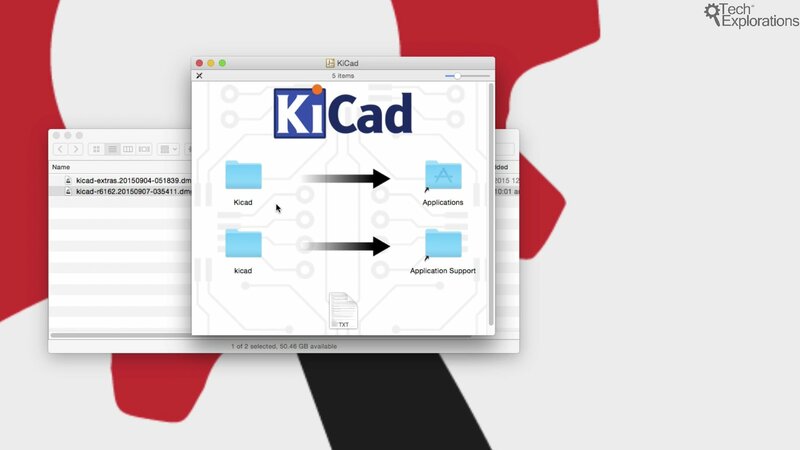 To install Kicad, we follow a process familiar to Mac users. 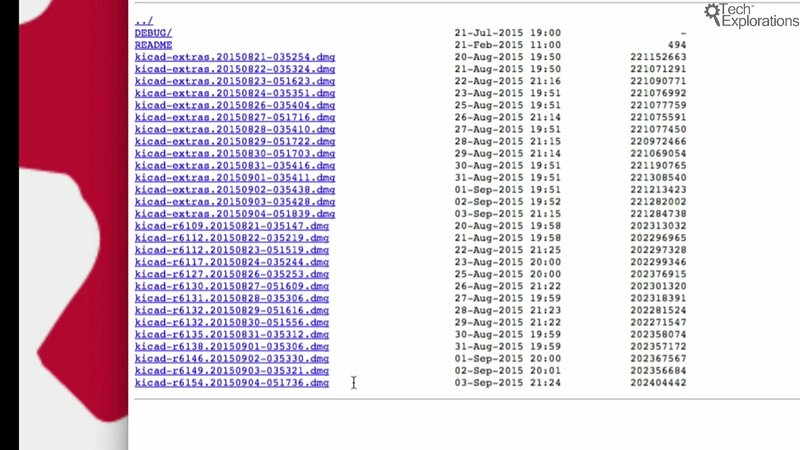 Double click on the “dmg” archive. In the archive, there are two things that you need to copy. First, the KiCad folder goes into the applications folder, and then the other KiCad folder into Applications Support. Drag and drop as the arrows show, one at a time. Copying into the Application Support directory will require authentication. 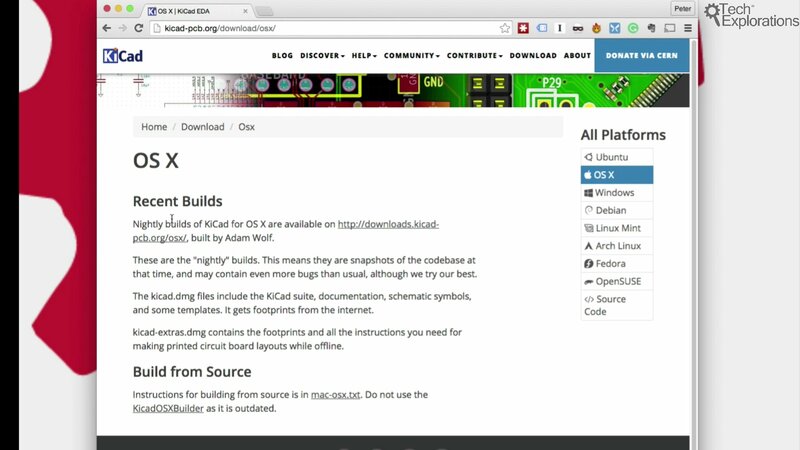 That’s all you have to do, Kicad is now installed on your Mac! Let’s start KiCad. You can use Spotlight Search to find Kicad, or just look for the Kicad icon in the Applications folder. 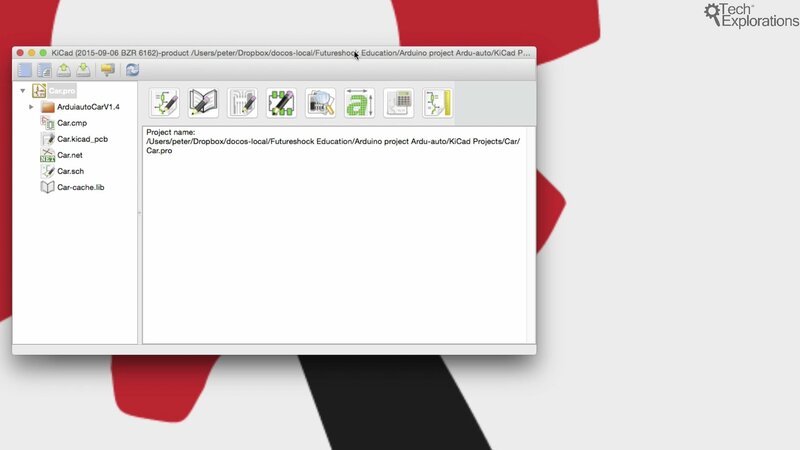 Double click on the icon to launch the application. It looks exactly same as its Windows and Linux counterpart. For the remainder of this book, I will be using the Windows version of KiCad, since I’m more used to it. But you’ll be able to follow along regardless of whether using a Mac, Windows, or Linux version of KiCad. All the features are the same across platforms. Just remember that you will get the best experience with a two-button mouse instead of the Apple Magic Mouse, and to use the Command key when I make a reference to the Control key on Windows.